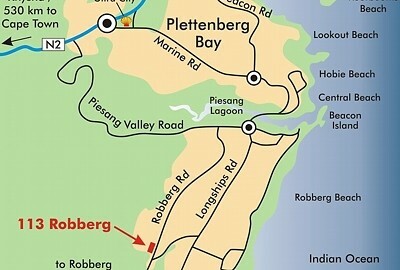 113 Robberg is situated in the beautiful coastal town of Plettenberg Bay on the famous Garden Route, South Africa. Here you will find the ideal base from where you can explore this magnificent area of the Western Cape with its unspoilt beaches, crystal clear lakes, mighty mountains and untamed African wildlife. Come and enjoy the relaxed atmosphere of South Africa's premier holiday resort with its superb beaches, the multitude of activities and soul-rejuvenating views of natural beauty. Once you've visited Plettenberg Bay, or Plett as we locals call it, you may find it difficult to leave and many return year after year! 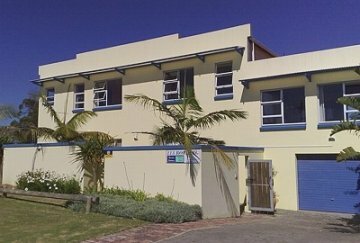 113 Robberg offers you three comfortable en-suite rooms and one 2-room apartment for your memorable stay in Plettenberg Bay. Please note that we do not take children under the age of 6 years as we have an unfenced pool on the property. All rooms are non-smoking but you are welcome to smoke outside. Room 1 offers accommodation for a maximum of 3 adults or 2 adults and one child (6 years and older) and has one double bed and one single bunk bed. This room has a private entrance, veranda with braai (barbeque) facility and a small en suite bathroom (shower, no bath tub), a table with 2 chairs, TV with SABC 1-3 / E-TV and DVD player, a ceiling fan for summer and a heater for colder evenings as well as a small kitchenette with fridge, 2-plate hub and sink. 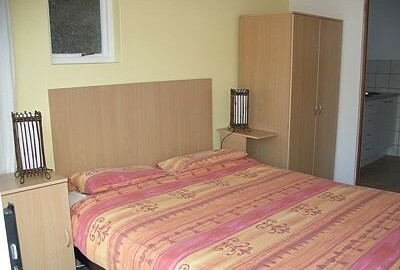 Room 2 offers accommodation for a maximum of 2 adults or 1 adult and one child (6 years and older) and has one double bed. This room has a private entrance, veranda with braai (barbeque) facility and a very small en suite bathroom (shower, no bath tub) in combination with a very small kitchenette with fridge, microwave and sink (basin / sink combination) as well as a dressing table with one chair, TV with SABC 1-3 / E-TV and a heater for colder evenings. Room 3 offers accommodation for a maximum of 2 adults or 1 adult and one child (6 years and older) and has two single beds which can be made up as one large (king size) double bed. This room has a private entrance, veranda with braai (barbeque) facility and a large en suite bathroom (shower, no bath tub), a dining table with 2 chairs, TV with SABC 1-3 / E-TV, a ceiling fan for summer and a heater for colder evenings as well as a small kitchenette with fridge, 2-plate hub, microwave and sink. 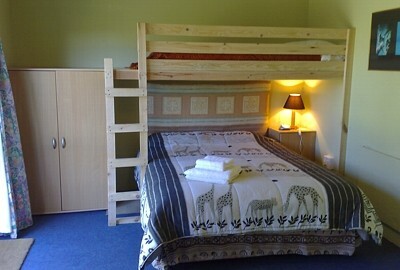 Unit 4 offers accommodation for a maximum of 4 adults or 2 adults and 2 children (6 years and older) and has a double bed in one room and a bunk bed in the second room. This unit has a private entrance, wooden deck with braai (barbeque) facility and one large bathroom (shower, no bath tub), a dressing table with 1 chair, TV with SABC 1-3 / E-TV, heaters for colder evenings and a small dining table with 4 chairs. According to many South Africans, Plettenberg Bay is the jewel of the Garden Route and the most fashionable spot along the South Cape Coast. 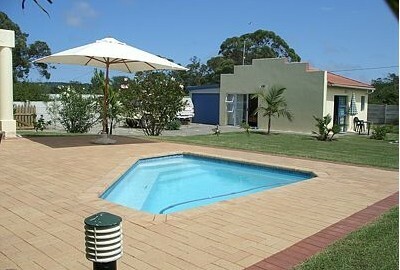 Plettenberg Bay is also called the Riviera of Africa which is certainly no exaggeration. Plettenberg Bay (known locally as 'Plett') is characterized by sweeping, unspoilt golden beaches, a dramatic rocky peninsula called Robberg Peninsula which is famous for its Cape Fur Seal population, lagoons and estuaries, towering indigenous forests and unpolluted rivers and sea. Originally christened \Bahia Formosa" (beautiful bay) by 15th Century Portuguese explorers, Plettenberg Bay was also the site of South Africa's first white "settlement" - established 20 years before Jan van Riebeeck's arrival in Table Bay (Cape Town). When the Portuguese vessel São Goncalo was wrecked in the bay in 1630 the crew came ashore and lived there for about eight months during which they built two smaller boats out of the wreckage and once finished, continued their voyage. Since then "Plett" has developed into a beautiful, modern town that combines buzzing activity with a peaceful environment, and is a perfect holiday destination for exploring, watching or just relaxing. With fabulous beaches stretching for miles, whole neighborhoods of beautiful summer homes, a couple of championship golf courses and world class polo fields, "Plett" is also the playground of the rich and famous. But don't worry, there's more to "Plett" than glitz and glamour. It's one of the best boat based whale and dolphin watching destinations in the world. It offers an incredible variety of outdoor activities seldom seen in one area and is the adventure capital of South Africa. "Plett" is absolutely stuffed with great restaurants, pubs and wonderful little coffee shops. The many creative locals that have chosen to live in this little paradise create a constant supply of innovative crafts, foods and clothing that supply the numerous shops for you to discover. With its exceptional Mediterranean Maritime climate, influenced by the warm Agulhas current meeting the temperate Benguela current, Plettenberg Bay offers warm summers and mild winters, with 300 days of sunshine during the year and water temperatures between 14 and 23 degrees Celsius. The indigenous forests at the feet of the fabled Outeniqua and Tsitsikamma mountains paint a dramatic background to the blue waters of the bay. These unique forests offer the nature lover world-renowned hiking trails and an exciting opportunity to see the last remaining forest elephants of South Africa. The entire area teems with bird life and nearly 300 species are to be found in the great variety of habitats ranging from fynbos to forest to wetlands. Plettenberg Bay lies in the heart of the Cape Garden Route, South Africa, approximately 550 km east of Cape Town and about 220 km west of Port Elizabeth. It is easy accessible by air with its closest airport being George (GRJ) about 120 km to the west and by road, as it is situated directly next to the major highway N2, connecting Cape Town with Port Elizabeth. It is the perfect base for your discoveries along the Garden Route and all major tourist attractions can be visited by day drives. It is often remarked that "Nature has made an enchanted abode of this beautiful place", as Plettenberg Bay is truly a spectacular destination.